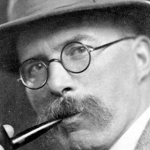 Arthur Ransome was a well-known children’s author, best known for his series of adventure books beginning with Swallows and Amazons. He was also close friends with the Bolshevik leadership and married Trotsky’s secretary. Meanwhile, he was spying for British intelligence, and being spied on by British intelligence as a suspected Communist. This week we take a look at the life of Arthur Ransome and the key differences between the two film adaptations of Swallows and Amazons which turned the 2016 version into a piece of Russophobic propaganda. Arthur Michell Ransome was born in Leeds in 1884 and was educated in Windermere and Rugby, before going to Yorkshire College. He was never academically gifted or motivated so after a year he abandoned his studies and moved to London to pursue a career in writing and publishing. He worked in the industry, publishing his first major book in 1907. Following a lawsuit over his biography of Oscar Wilde he left the UK in 1913 to study in Russia. At the outbreak of World War 1 he became a foreign correspondent and covered the Eastern Front and the two Russian revolutions of 1917. He became friendly with Lenin and Trotsky and fell in love with Trotsky’s secretary Evgenia Petrovna. They would later marry after Ransome divorced his first wife. MI5 was unimpressed. When Ransome returned to Britain a short time later – after being expelled from Sweden as a Bolshevik – he was placed under surveillance. When he applied to return to Moscow as a correspondent for the Manchester Guardian, the agency opposed his request. The files also contain allegations that he wrote propaganda aimed at British troops sent to Russia to quell the revolution. 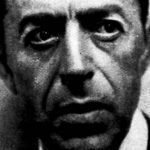 So MI5 had some difficulty – they recognised that Ransome had worked for them, and continued working for them for years after the Bolshevik revolution and the end of World War 1. But they also heard rumours that Ransome was betraying them to the other side, and was certainly somewhat supportive of the Bolshevik leadership on a personal level. I wanted to get a better handle on all this because it is true that Ransome spied for British intelligence but it’s also true that he greatly admired Lenin and Trotsky, and wrote propaganda arguing against the British involvement in the Russian Civil War. Russia entered World War 1 to try to protect the Russian empire, but like the Ottoman, German and Austro-Hungarian empires, the Russian empire did not survive World War 1. The Tsarist system was collapsing, the Russian parliament established in 1905 was weak and ineffective. The costs of the war resulted in massive poverty across Russia, especially in Moscow and St Petersburg. So I got hold of a book of Ransome’s personal letters and read a bunch of them from this time period. Ransome’s sympathy with the Bolshevik cause largely came from his sympathy for the Russian people, who he saw starving and suffering. Ransome himself often went hungry and on several occasions he was seriously ill. His descriptions of the squalor and poverty are quite moving, so I can completely understand his pro-revolutionary stance. That said, he was drawn in and charmed by Lenin and Trotsky and had a bit of a blind spot. Ransome was upset by the Red Terror and became somewhat opposed to the Bolshevik regime, but remained friendly with its leadership. But it was Lenin who re-established the Russian secret police and sent them after the anarchists and other political enemies of the Bolsheviks, in keeping with the Leninist philosophy that after the revolution one has to perpetually fight against counter-revolution. And Lenin wasn’t necessarily wrong about that – as the Bolsheviks began withdrawing from World War 1 the Western capitalist powers began working against them. They helped ignite the Russian civil war, which pitched the Red Russians against the White Russians, the Whites supported by Britain and other foreign powers. MI6 carried out an assassination attempt against Lenin, involving Robert Bruce Lockhart, who knew Ransome well. Ransome wrote propaganda opposed to the British support for the White Russian movement, which only furthered suspicions of him being a double agent. So we can conclude that Ransome was a complicated guy – certainly not an ideological Communist or Bolshevik, but personally loyal to the Bolshevik leadership. He criticised both the Bolshevik regime and the British government, despite the fact he was working for British intelligence. MI5’s inability to figure out exactly who he was is symptomatic of the institutional mentality of intelligence services. 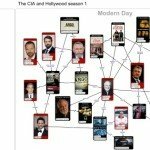 It is something you see constantly in MI5 and FBI files on suspected communists – there’s not much room for complexity. I think it is because the people working for these agencies are so straightforwardly loyal that they don’t understand people who have much more subtle views. They projected onto Ransome a bunch of unfounded suspicions because otherwise they couldn’t explain his actions. However, before anyone knew about Ransome’s life as a spy and the accusations of being a double agent, he was an extremely popular author of children’s books – in particular his series of books based around kids having adventures in the Norfolk broads and the Lake District, beginning with Swallows and Amazons in 1930. These books were based on Ransome’s own childhood, but were set in the inter-war years. 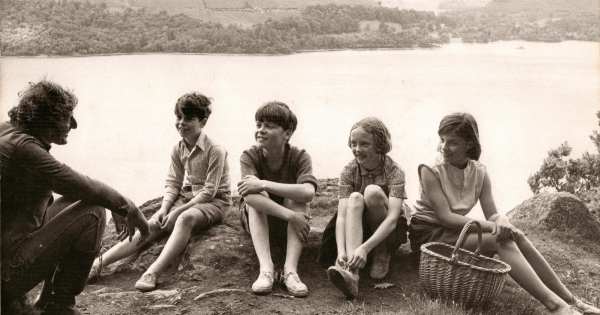 I had these books read to me as a child, I have been on camping trips in the Lake District, I still love the 1974 film adaptation of Swallows and Amazons – this is all quite personal for me, even without the spy angle. When I read about Ransome being a spy and the apparently false accusations of him being a double agent for the Soviets it caused me to reassess Swallows and Amazons. A couple of years ago I read the book – the first time I’d read it myself – and I re-watched the film version. Then, last year there was a second film adaptation that was moderately successful and quite good reviews, so I watched that too. For the rest of this episode we’re going to explore this story through the lens of intelligence and spies. In the original book and the 1970s film, which is very faithful to the book, four kids go up to the Lake District on holiday. While staying at a farmhouse they spot a deserted island, and beg their mother to let them go and camp there. She sends a telegram to their father, who is away at sea, and he replies ‘better drowned than duffers, if not duffers then won’t drown’. This somewhat coded telegram is the first hint that there is a clever subtext to this children’s book. So the four kids get in their little boat – the Swallow – and sail to the island. It isn’t long before they encounter another pair of kids with their own boat – the Amazon – who are also staying near the lake and claim that the island is theirs. They engage in a naval intelligence war, concluding with a game whereby whoever steals the others’ boat wins and thus gets to keep control of the island. Meanwhile, there is a man living on the lake in a houseboat, writing a novel. He is the uncle of the Amazons, so one day they sail up and place a firework on the top of his houseboat. It explodes, causing minor damage, and the man – Jim Turner – believes the Swallows are responsible. This is where the Swallows first encounter the Amazons – they hear the explosion from their camp on the island, and get into their boat and give chase. When they lose sight of the Amazons and return to the island they find a message from Jim Turner saying to keep away from his boat, so the eldest kid – John – goes to see Jim Turner to try to explain. It is this sequence I want to focus on, because the Jim Turner character is obviously a metaphor for Ransome himself. So here’s a couple of clips from the 1974 film version including the firework and the aftermath. This is, in effect, a false flag bombing. The Amazons bomb the houseboat, but Jim Turner believes it was the Swallows and blames them for the damage. Later in the story a policeman shows up on the island and tries to arrest John, leading the Amazons to explain that they did the firework to take revenge on their uncle for ignoring them all summer. This culminates in Jim Turner and the two sets of kids staging a naval war where they attack and take over the houseboat and threaten to make him walk the plank. The story ends with them having cream buns and afternoon tea. What is a false flag bombing doing in a children’s novel set in the Lake District? 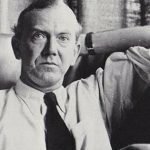 I think that Ransome may have got wind of MI5’s suspicions about him – after all, they were mostly based on rumours and rumours have a habit of getting back to the people they’re about. Thus, he wrote in not just the Jim Turner character but an attack on Jim Turner and a sub-plot about a young man being wrongly blamed for something. Add this up and the firework in Swallows and Amazons is a metaphor for MI5’s wrong-headed suspicions about Arthur Ransome. In my opinion, the 2016 film version of Swallows and Amazons is not as good as the 1974 one. While the director did a great job with the action sequences, mostly these little sailboats on the lake, she did a pretty poor job with the kids playing the Swallows and the Amazons. Unlike American kids, British kids are mostly quite weak actors because we’re more emotionally repressed. 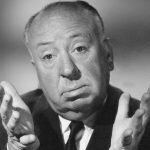 So while young British actors might look the part and speak well, they rarely inspire any emotional connection in the audience, or any strong sense of motivation. Likewise I felt there was a lot of the usual middle class southern snobbery about the North of England, and felt the Northern accents of several characters were weak and obviously put-on. The Amazons are basically Northern chavs while our heroes, the Swallows, are all very fresh faced and posh. This is a recurring theme in British pop culture – we are still quite a deeply class-based society. What makes the 2016 film interesting for our purposes is that this came after all the revelations about Arthur Ransome. Both the writer and the actor who plays Jim Turner acknowledge that they responded to the media coverage and the documentaries about Ransome’s secret life as a spy by incorporating that theme into the film. But whereas in real life Ransome was a British spy who was pursued by British intelligence because they wrongly thought he was working for the Russians, the 2016 version of Swallows and Amazons does something quite curious. To illustrate this we’re going to look at the same scene – where John goes to talk to Jim Turner. There are some key differences I’d like to highlight. 1) There is no firework, no false flag bombing, no wrongful accusation sub-plot. 2) The intelligence subtext is now a main part of the plot – it is clear Jim Turner is a spy. 3) The Russians are the bad guys. In the book the spying theme is woven in quite subtly and in my interpretation contains a little jab at MI5 for their wrongful suspicions about Ransome. I think like any good spy he appreciated the power of symbolism and metaphor, of coded language and hidden or implied messages. So I don’t think this interpretation is outlandish, though I’ve never heard of anyone else reading Swallows and Amazons in this way. In the 2016 film this is all brought out into the open – Jim Turner is a spy, he is pursued by the Russian agents from the very beginning of the film when the kids are traveling North on the train. Incidentally, there is a hand-painted map overlaid on the train during their journey which places Lancaster – my home town – much further inland than it is in reality. Again, it’s as though these Southerners simply don’t know where these places are. It also doesn’t help that most of the film was shot in Yorkshire, rather than the Lake District. In their efforts to write in an explicit spy story the producers of this film removed the most important scene for students of intelligence – the firework on the houseboat. Instead we get this ludicrous side-plot with two Russian agents pursuing Turner, which ends up with them trying to kidnap him and I think he kills them in the end. In the original book this theme is used in a clever way to quietly criticise MI5, but in the remake film this was reversed to be in keeping with the current Russia-phobic context. Given that the film, like the book, is set in the inter-war years it would have made much more sense for the agents pursuing Turner to be German. I can understand them wanting to avoid any plot whereby British agents are spying on other British agents, but why didn’t they just make them German? It’s not like this film was released in Germany or as though any Germans would give a damn about being the bad guys in a kids film set in the 1930s. But no, the evil agents are Russian, and in making this creative choice the writers almost completely reversed the meaning of Ransome’s book, at least as it pertains to intelligence agencies. They did to Swallows and Amazons what MI5 did to Ransome back in the 1920s – they misinterpreted, and projected their fears about Russia. I am not suggesting that MI5 had any hand in rewriting the story for the 2016 film, I have no evidence of that. But I am suggesting that in some respects not much has changed in the last century. Before we wrap up I do want to add one final point – a lot of reviewers praised the 2016 film for telling a story about kids who get out into the countryside, get their hands dirty and learn some useful skills. They lament modern youth with their smartphones and their internet and their haircuts. But let’s be honest – it wasn’t kids who developed and marketed smartphones and the internet, it is people from the same generation as these bourgeois reviewers. They are the ones buying these things for their kids, and then complaining when their kids use them. To the wider issue I’d also like to say that I doubt that any of these reviewers have ever taken their kids camping and taught them how to fish or how to build a fire. I imagine they wouldn’t be much more use in the wilderness than their kids would be, which makes this sneering nostalgia utterly hypocritical. Likewise, non of these reviewers commented on how these were not normal experiences for 1930s kids – only those with the money to take lengthy holidays could enjoy this sort of thing. And again, I’m not sure much has changed. There are plenty of kids who’ve never had the opportunity to go and camp in the countryside for weeks on end and learn survival skills and how to pitch a tent and build fires and sharpen knives with stones. This is just class-based snobbery, which is ironic given that this story began with the Bolshevik revolution.